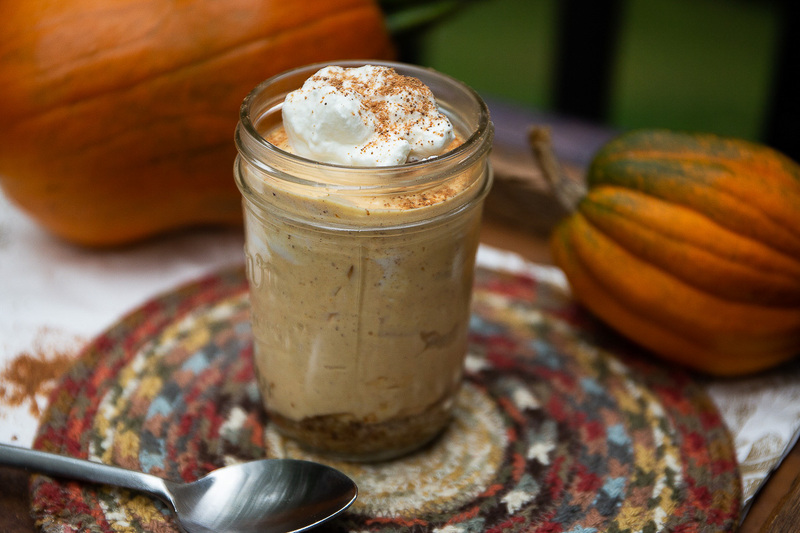 Though this no-bake pumpkin pie mason jar cheesecake recipe serves one, you can make multiples for dinner parties where you need a keto-rific dessert idea. This creamy pumpkin cheesecake tastes like what would happen if spicy pumpkin pie and sweet cheesecake had a love affair. In a microwave-safe mug, combine the almond meal and 1 1/2 teaspoons of butter and microwave on high for 30 seconds. Stir the butter and almond meal together and use a spoon to flatten the mixture into the bottom of the mug to form a crust. In a small bowl or single serve blender, cream together the cream cheese, heavy cream, pumpkin, sweetener, pumpkin pie spice, and the remaining 3 teaspoons of butter. Pour the mixture into the mug, sprinkle it with a little nutmeg, and refrigerate for 3 hours before serving. If you’d like you can top with a little more whipped cream and a sprinkle of nutmeg. Enjoy! This recipe comes from my best-selling cookbook, The Wicked Good Ketogenic Diet Cookbook. Still craving pumpkiny goodness? Try my Savory Low-Carb Pumpkin Soup Recipe w/ Curry & Coconut recipe. Sure, no problem at all. Is there a sub for almond meal? Thanks! What if you don’t use a microwave. can these jars be put in the oven?